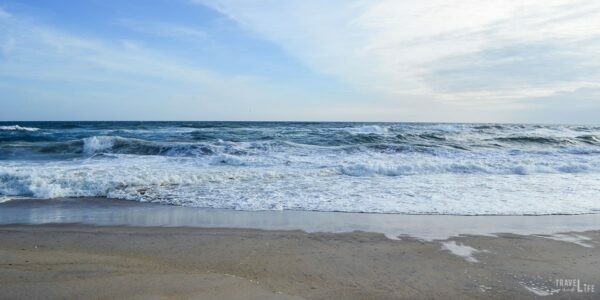 Visiting The Outer Banks is one of the best things to do in North Carolina, and even the US, in case you didn’t know already. And if you’ve never explored this wonderful part of our state, now is the time to go. It’s the perfect place for those searching for interesting history, fun things to do, tons of places to explore, and beautiful scenery all around. 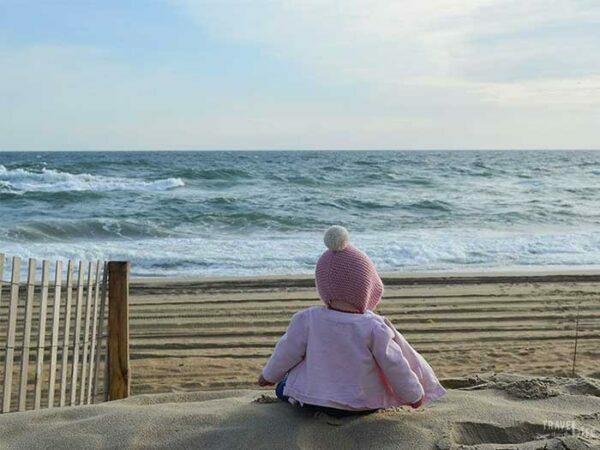 Before we get you too carried away, let’s start with some fun weekend things to do in The Outer Banks. Of course, many people stay longer but let’s get into the things you can do if you’ve only got a few days there. 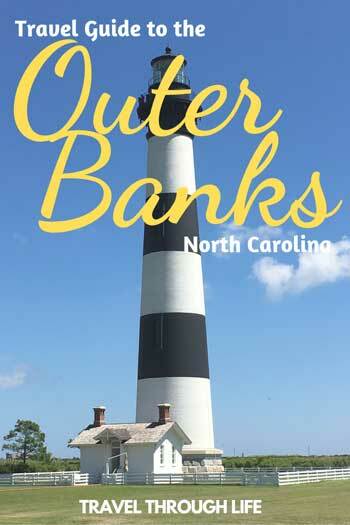 This post is a part of our series on The Outer Banks and other spots in the US. People will tell you to visit during the spring, summer, or fall when the weather is warm. We agree and love traveling through this part of North Carolina during these times of the year, but what about during the off season in the winter? Some places may not be open and temperatures may be cooler than during the rest of the year, but the scenery won’t change and there are fewer people vying for those awesome views. 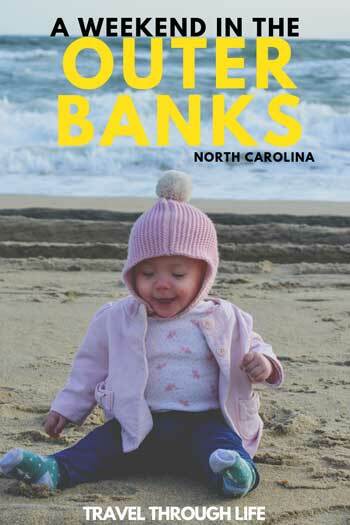 Give it a thought and if you’ve ever visited The Outer Banks during the winter, we’d love to know what you think. We created an off season guide to The Outer Banks at NC Tripping to convince you even further that any time of year is great for a trip there. Also, we included a couple of spots in the Outer Banks in our guide to winter things to do in North Carolina! 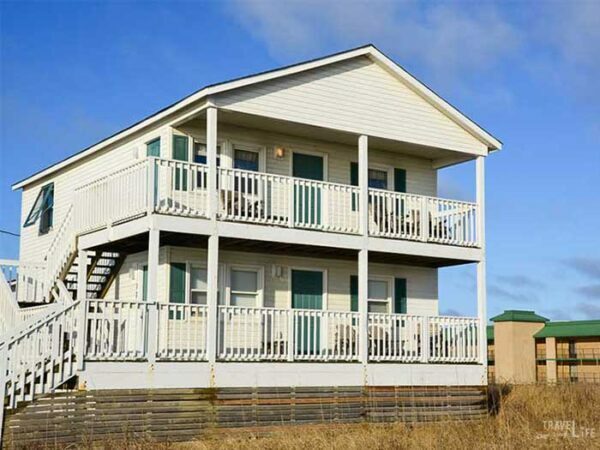 There are tons of Outer Banks vacation rentals to choose from, but I think you should first look at Wright Cottage Court in Kill Devil Hills. 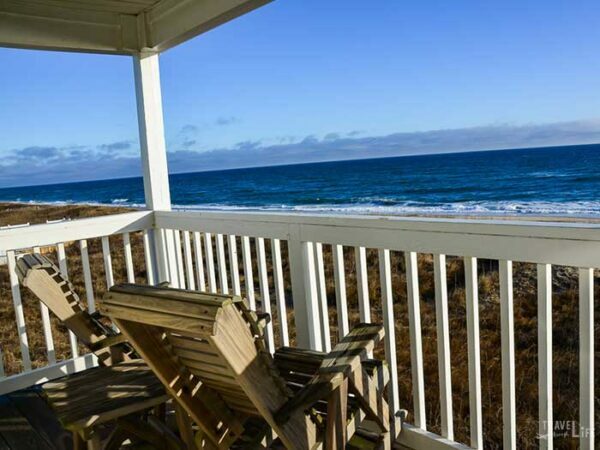 Their oceanfront cottages are cozy and full of everything you need, in case you want to spend your entire time there. Many are right on the beach. Don’t you think seeing the sunrise just a few feet from your bed is the best way to start your day? That’s why we included this as one of our favorite hotels in North Carolina. Here’s booking information for Wright Cottage Court and more places to stay in The Outer Banks! English Breakfast at OBX Trio. Some pretty awesome places to eat remain open throughout the year, no matter when you’re visiting. Grab a pencil and mark up your order at Duck Donuts. Oh, and be sure to pick a colorful variety for the photos you’ll take before eating. 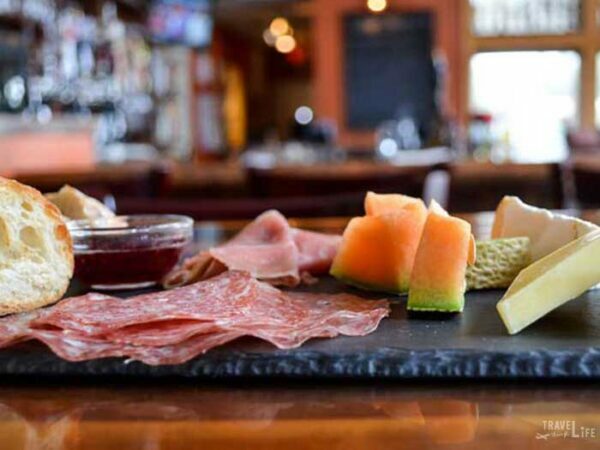 OBX Trio in Kitty Hawk serves up really delicious food to go along with an almost countless variety of beer, wine, and cheese. Waveriders Coffee, Deli, & Pub in Nags Head mixes amazing food, drinks, and fun in a community-building and welcoming space. You can enjoy a wide variety of Outer Banks Restaurants during Taste the Beach in March. We included it in our Spring Things to Do in North Carolina! You have to try this Black Bean Burger at Waveriders. We’ve loved so many places to eat in The Outer Banks. 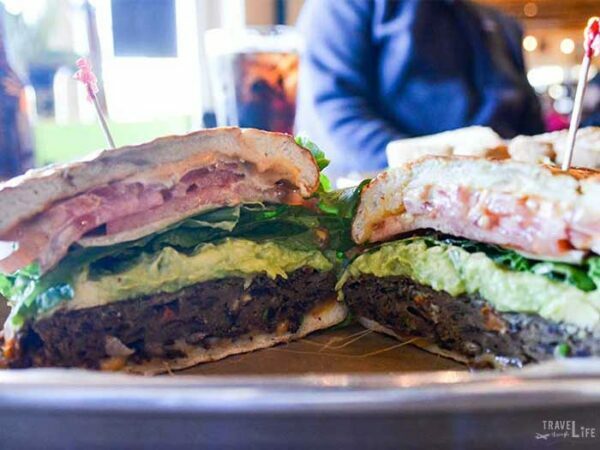 If you’re looking for eats in the area, check out this guide on can’t miss Outer Banks restaurants we’ve created. 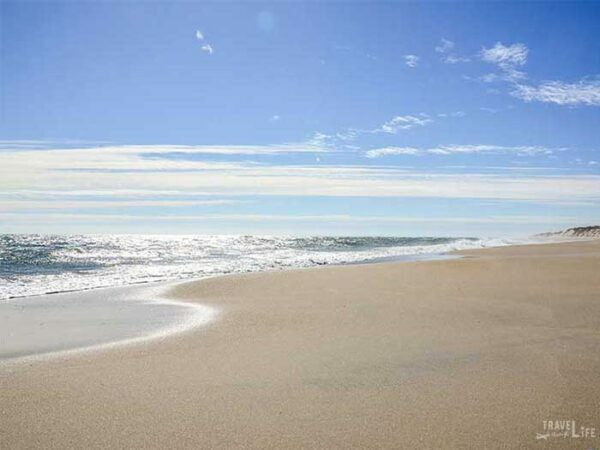 There are so many Outer Banks beaches to explore. One thing to remember is that public parking can be limited in some places. That’s because many spots are dedicated to residents or those who are staying nearby. Nags Head is one of the busiest beaches, and you’ll see why. Its gorgeous wide spaces are the first indicator. The ever-photogenic Jennette’s Pier is also there and is one of our favorite spots to walk on at any time of year. Personal favorites also include the beaches in Kill Devil Hills, Kitty Hawk, and Duck. Bonus Beach Tip: If you’re up for some adventure, hop up to Corolla and scope out the wild horses that have been hanging out there for hundreds of years. Many people come here to be near the water but there Outer Banks attractions beyond the beach. 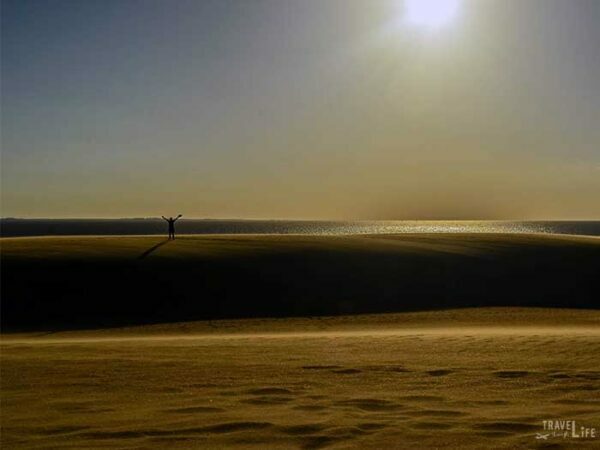 I’d start with a visit to Jockey’s Ridge State Park. The dunes and wind will take you away to another planet. However, seeing a beautiful sunset there will remind you that it’s still earth. If you ever wondered why North Carolina license plates read “First in Flight,” the Wright Brothers National Memorial will show you why. Nags Head Woods is another great way to enjoy the outdoors and is also one of the best fall hiking trails in North Carolina. Head over to Manteo and learn about the Lost Colony of Roanoke at Fort Raleigh National Historic Site. Stick around there and you’ll enjoy the charming waterfront and the beautiful views that come with it. 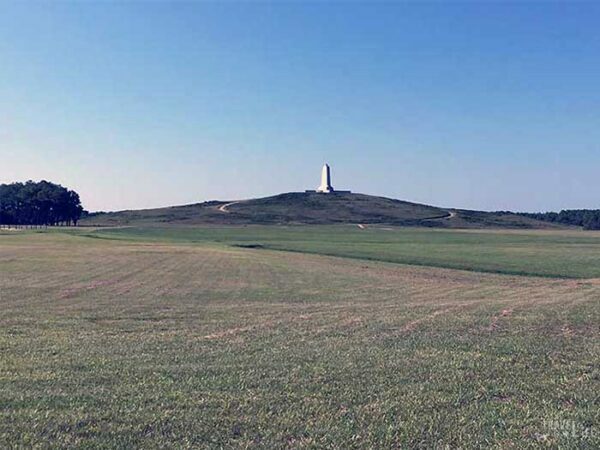 Jockey’s Ridge State Park and the Wright Brothers National Memorial are not only a couple of fun weekend things to do in The Outer Banks, but they both featured in our roundup of Unique Things to Do in North Carolina on NC Tripping. 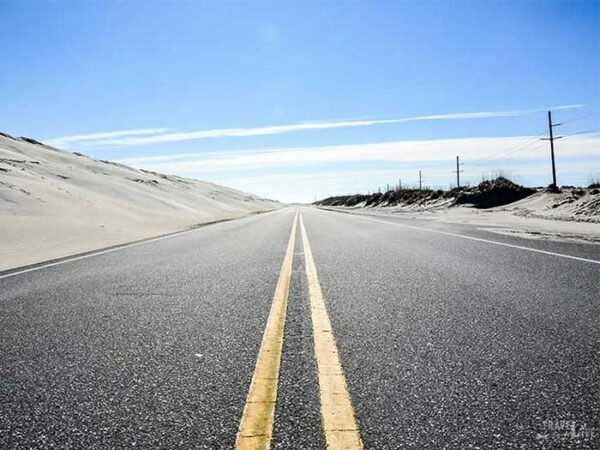 If you want to feel like you’re really on the edge of the United States, take a drive down NC Highway 12 through Cape Hatteras National Seashore. Seeing the water on both sides of the road is a really cool thing. There are some fun places to stop along the way, too. Stop at Bodie Island Lighthouse and you might recognize it, as it’s an iconic part of The Outer Banks and North Carolina. After Bodie, Pea Island National Wildlife Refuge is one of the first things you’ll see and it’s worth exploring, with tons of bird-viewing opportunities. Other awesome spots you can reach include Rodanthe, Buxton, and Ocracoke. After Bodie, Pea Island National Wildlife Refuge is one of the first things you’ll see and it’s worth exploring, with tons of bird-viewing opportunities. Other awesome spots you can reach include Rodanthe, Buxton, and Ocracoke. Occasionally, you might run into bad weather when visiting The Outer Banks, but don’t worry! There are some great things to do while staying indoors. I know we mentioned the Wright Brothers Memorial before, but the on-site museum itself it’s pretty nice, too. 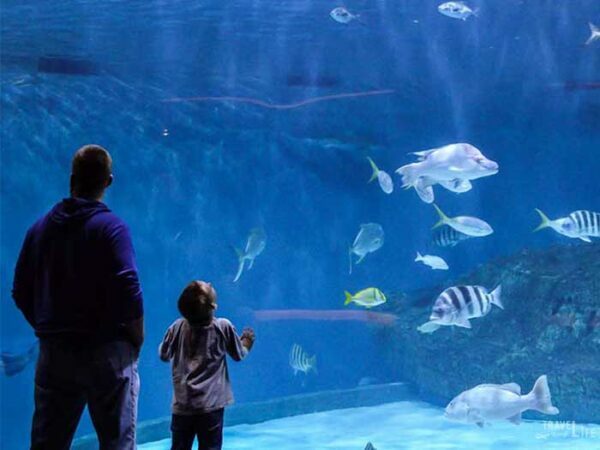 NC Aquarium on Roanoke Island is full of fun for families and anyone interested in learning about North Carolina’s aquatic wildlife and habitats. We included NC Aquarium on RI among our favorite North Carolina museums. It’s also up there on our list of favorite winter things to do in North Carolina! 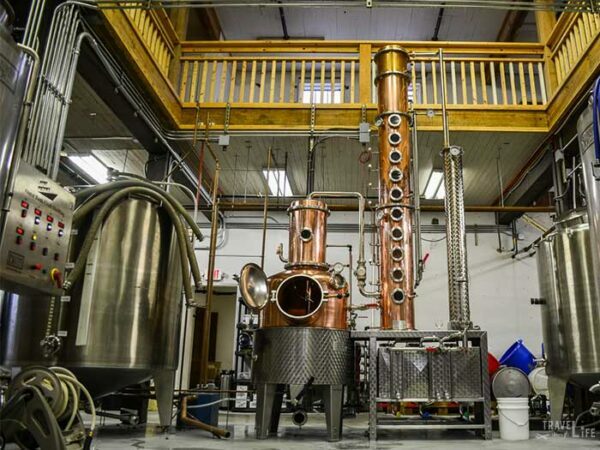 Bonus Trip to a Distillery: Learn about the history around rum in the area at Outer Banks Distilling in Manteo. The owners are truly great guys. Hopefully, you’ll come away inspired to the tune of looking into following your own passions like they did. Pick up a bottle of rum (aka Kill Devil. Hence the name “Kill Devil Hills”) and some candied pecans. So we’re pretty hooked on this part of our state and can’t wait to get back there. 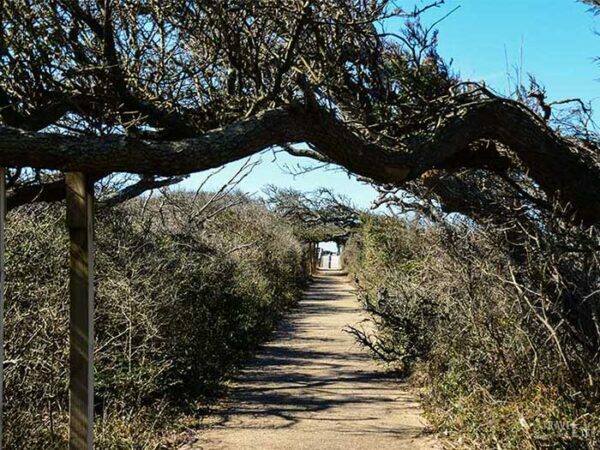 Among these fun weekend things to do in The Outer Banks, which ones are your favorites? Is it the beach, the fun things to do beyond the water, or something else? We’d love to know what you think of this special place. Also, we look forward to reading your thoughts in the comments section! Special thanks to The Outer Banks Visitors Bureau for setting us up for an awesome weekend. All opinions within this article are our own. Also, this post originally appeared on our sister site NC Tripping.